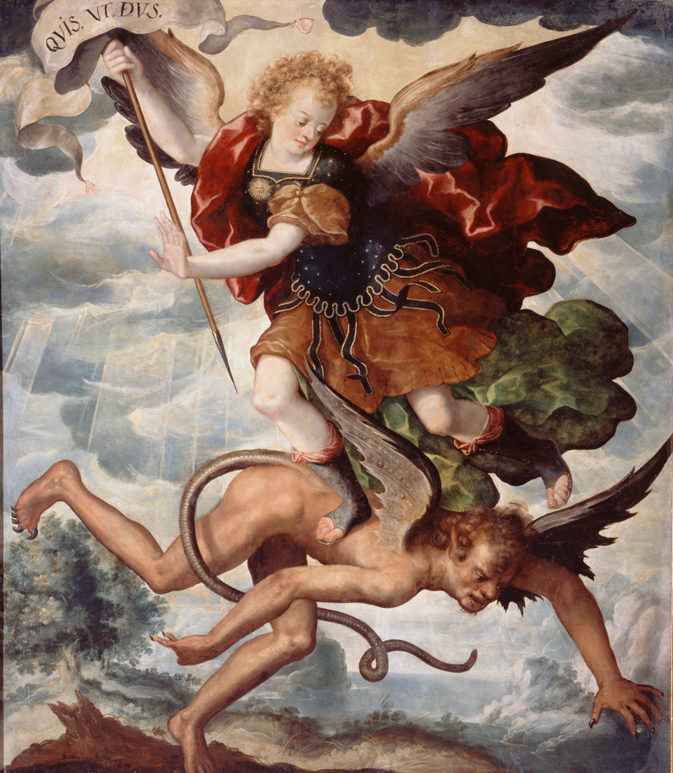 How many times have you — as a parent — sat in Mass and not heard a word the priest said because you were playing referee, peacekeeper, or bad cop in the pew? 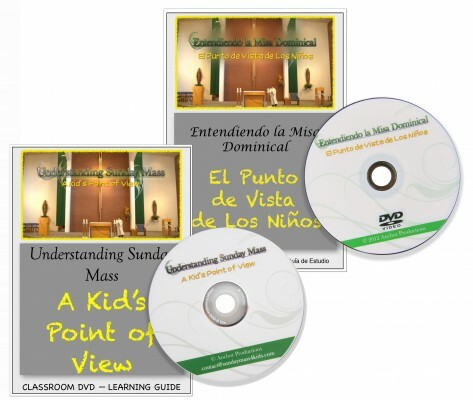 Since I can answer that question in the triple digits, I was thrilled to learn about the new DVD “Understanding Sunday Mass: A Kid’s Point of View”. Today, I’m happy to share my recent conversation with this amazing project’s creator, David Yrisarri. I encourage you to enjoy this interview and then to visit the website www.SundayMass4Kids.com to order this resource for your family. Q: Please briefly introduce us to yourself and your family. A: My name is David Yrisarri. My wife Diane and I have been married for 20 years and we have a great son Dawson who is 12 years old in the 6th grade. Diane and I met in college, Brooks Institute in Santa Barbara. I studied motion picture and she became a photographer. I’ve been working in the film industry for a little more than 20 years and for the past 15 years or so I have been a Visual Effects Producer. I’ve worked on such films as “Beverly Hills Chihuahua 2 and 3,” “The Santa Clause 2 and 3,” “Race to Witch Mountain” and “Sky High” to name a few. 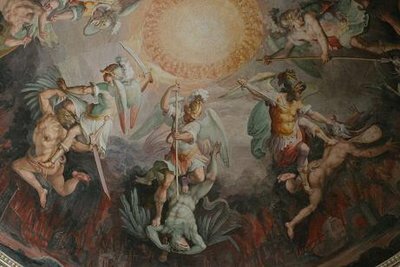 Q: What prompted you to create “Understanding Sunday Mass: A Kid’s Point of View“? A: I decided to make “Understanding Sunday Mass: A Kid’s Point of View” several years ago when my son Dawson was preparing to receive his First Holy Communion. I noticed that he was learning a lot about being Catholic and about Jesus, but I felt that he was still not understanding what we did every Sunday in Mass. We had purchased children’s books about the Mass, but found them clumsy to try and use during Mass and hard to explain after we got home. So I decided to put what I do for a living into helping him and other kids his age learn what we do every Sunday. I feel that the more kids understand what is going on during Mass the more they will pay attention and the more they will get out of it. I hadn’t seen anything like our DVD in stores so I went to the Diocese of Orange and met Nancy Hardy, the Director of Religious Education. Nancy thought it was a great idea and got completely on board to help make it. She connected me with Fr. Jerry Horan who is the Vicar of Faith Formation for the Diocese of Orange. Fr. Jerry didn’t only become my liturgy adviser; he became the priest we used in the DVD. It was also Nancy’s idea to film the DVD in both English and Spanish and not just dub the English version. So we had (2) separate casts of English and Spanish. We wanted to create the DVD to be a “digital” textbook complete with vocabulary words and their meaning. Q: Please tell us a bit about the filming process. A: Filming this project was a bit of a challenge in many ways. We had two days to film both versions. St. Bonaventure in Huntington Beach, our family’s church and the one I grew up at, was kind enough to let us film the DVD there. Fr. Knerr and the entire staff could not be more helpful to us. We handled casting and all principal photography all at St. Bonaventure. I decided to use the first day to shoot the Mass in both English and Spanish, that way we would only have to have the volunteer assembly one day. Then day two would be the kids and priests doing their parts. We would set the camera and film a section in English then cut and bring in the Spanish cast and film the same section over again. Then I would edit the DVD putting it all together. Q: How have the changes to the Roman Missal impacted the DVD? A: When we first started writing the script and began the filming process was just before the change to the New Roman Missal. So when we filmed the assembly it was the first time people from our parish saw the new text. We were lucky enough to have our DVD come out just as the change to the New Roman Missal occurred. Q: I know the project was endorsed by Bishop Tod Brown. 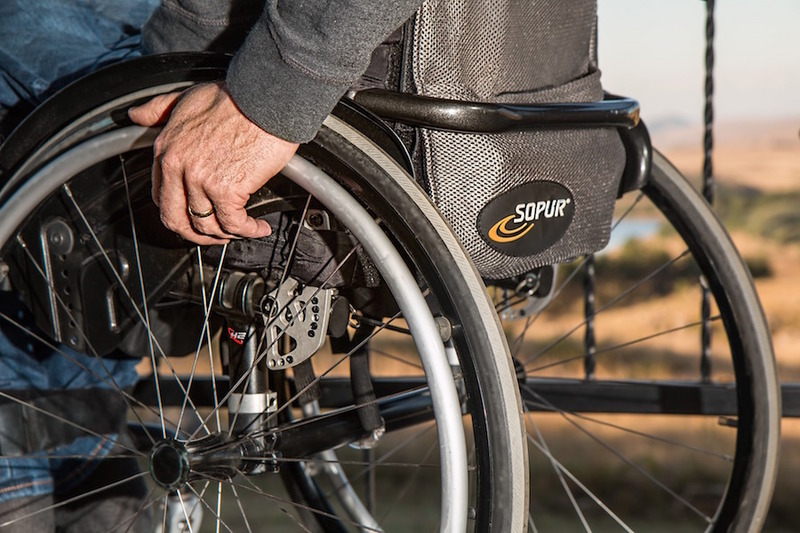 What have families who have viewed the project had to say? A: We have been very blessed to hear so many great responses from families and churches that have started to use our DVD. We have heard so many adults say that there is a lot of information in our DVD that they didn’t even know. We’ve had parishes tell us that they have used it for everyone from First Communion classes to Confirmation preparation to their RCIA program. I hoped to create a DVD that parents would be able to watch with their kids and not be too bored. I wanted to make something that everyone would be entertained and learn along the way. Q: How can our readers learn more and order the DVD? 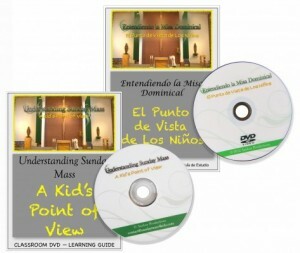 A: We currently sell the DVD through our website, www.sundaymass4kids.com, or by phone at 714-421-3916. They sell for $16 each. For purchase of (10) or more we drop the price to $10 each, and for purchases of (20) or more they are $10 each and we provide free shipping. We offer a free fun and informative downloadable learning guide to be used by parents and teachers. Anyone is welcome to call with any questions we are happy to help. A: All I would like to add is that I hope that every child that has the opportunity to see and use this DVD will lean a little something and appreciate the Sunday Mass a little bit more.